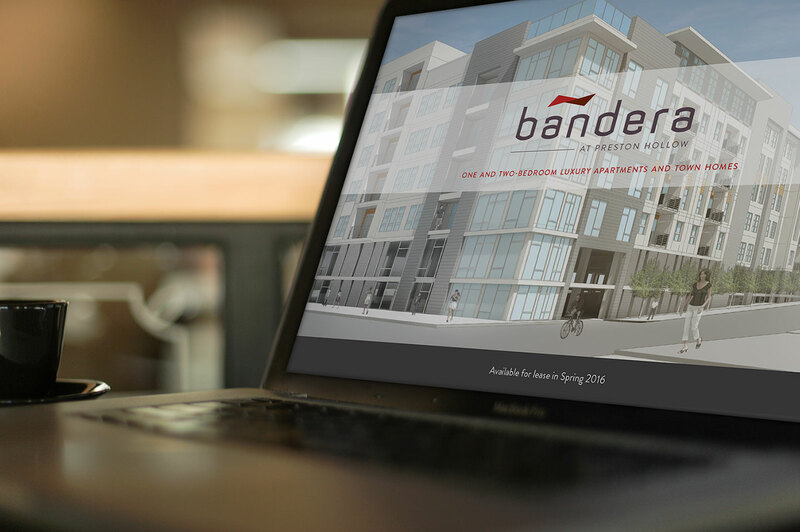 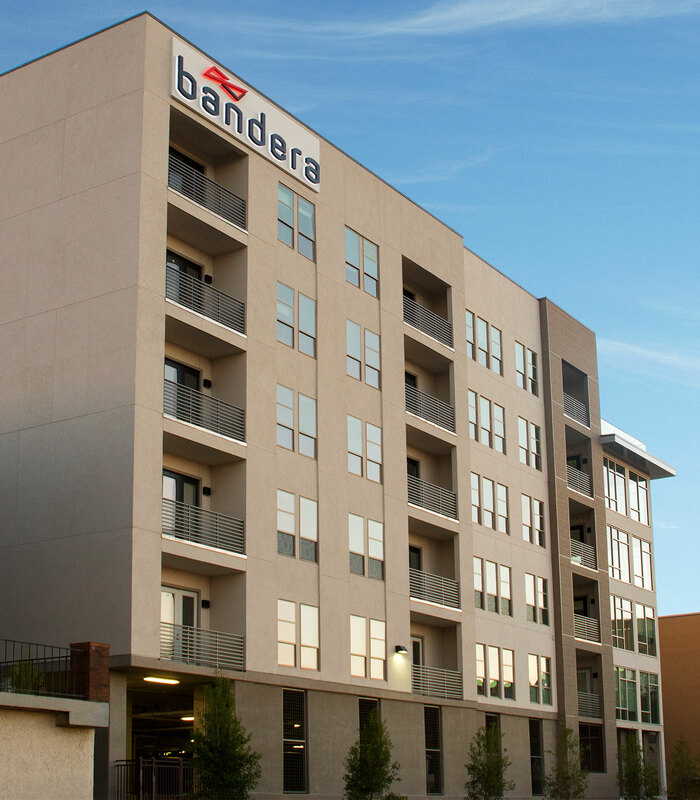 Lang Partners’ latest development is a contemporary apartment community in Preston Hollow called Bandera. 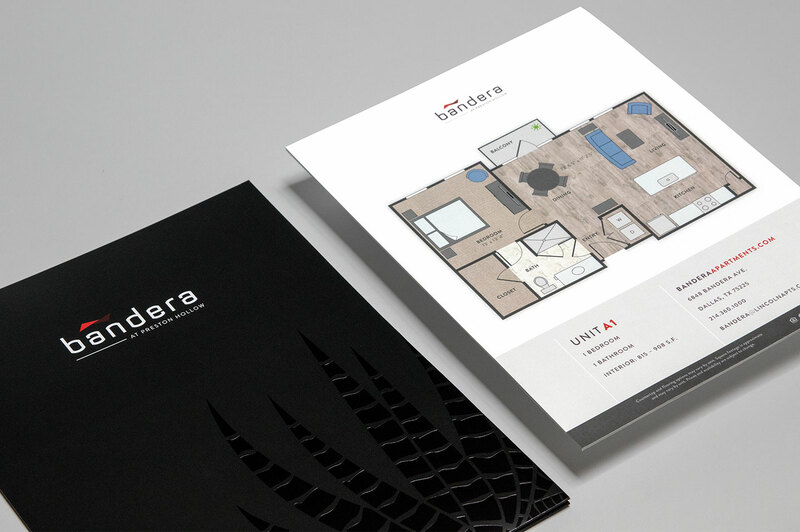 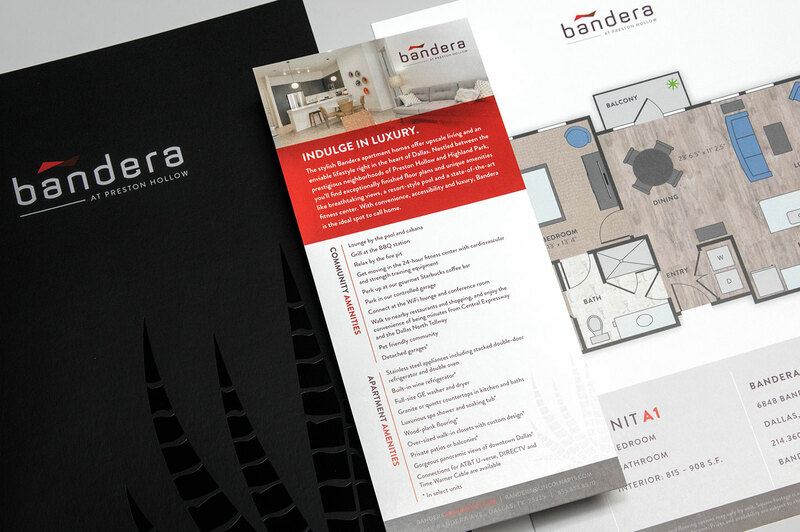 We created a bold, modern logo for the property, and brought the brand to life in both print and digital materials. 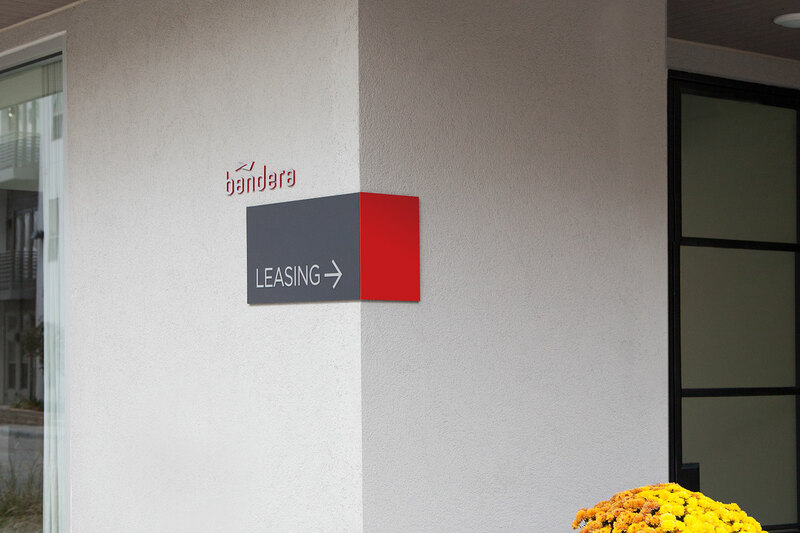 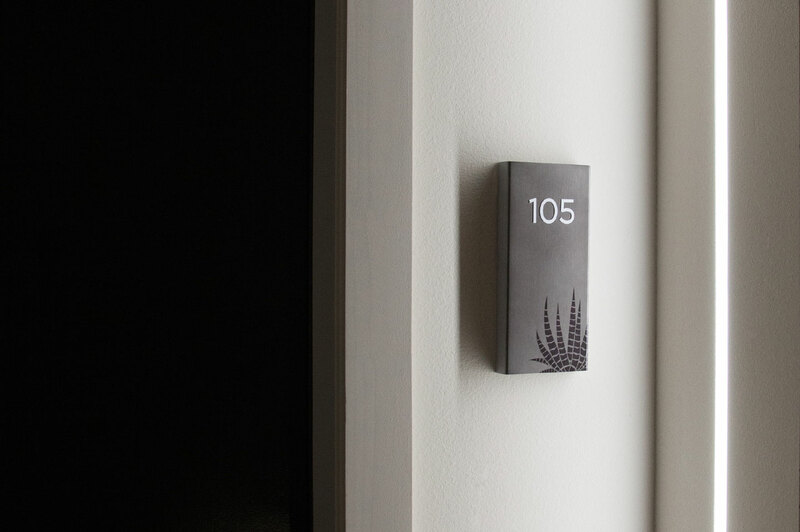 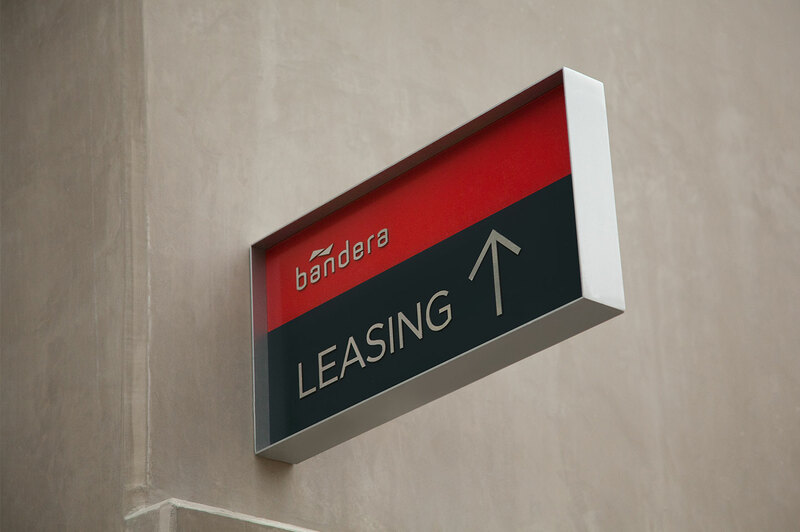 The building and wayfinding signage focuses on sleek materials and clean design, which complements the smart architecture.